Minimalism is concept I’m trying to embrace fully. But, like so many ideas, it means different things to different people. Most minimalists would agree that however you define it, material possessions encompass most of the concept. Getting rid of stuff, basically. Clearing out the closet full of crap you haven’t touched in years. Giving away books you always meant to read, but never did. Ridding yourself of clutter. I prefer minimalism through distillation. You see, there are these folks out there do these 200 possession challenges where they count every single things they own and keep that number under 200, or some other ridiculously low figure. Find a new shirt at a yard sale? Got to get rid of one in the closet. (If they have a closet). Decide to take up the Banjo? Toothbrush has to be tossed out, or whatever. Don’t get me wrong, this sounds VERY challenging, and I have absolute respect fro the discipline that this lifestyle must require. I’m sure living in a tent (do you add up the individual tent stakes as four items?) and having a car trunk of things would de-clutter your surroundings in such a way as to make something like a spiritual journey to find one’s self more easily attainable, but from my point of view I fail to see this behavior as minimalism. The number of items one would need in order to live comfortably are far greater than 200. Ask any homesteader. Supporting your own needs is hard work. There are billions of people on this planet that have next to nothing, and they are surviving. Well, not all of them unfortunately. If you are skilled at hunting and the procurement of wild foods and gardening practices, I suppose you could get by with very few things in your bag. Wouldn’t be an easy life though. If you desire the luxury of a hot pressured shower (and I do), then that takes resources. If you can’t produce these things yourself, than someone else has to and in all likeliness, you’ll pay them for it in some round-a-bout way. The same thing goes for refrigeration, high speed internet and any other benefit of industrial society including food you haven’t produced yourself. Now lets’s say one of these individuals live in a little apartment in the city, or maybe they even couch surf in friends living rooms and basements. Let’s say they enjoy the luxury of hot, pressured showers, air conditioning, refrigeration and high speed internet service. Here’s where I nitpick… Just because you may only have 200 personal possessions in the world, doesn’t mean that’s all you need. Most people living in the western industrialized world are woefully dependent on an infrastructure of goods and services, they couldn’t hardly imagine the complexity. Myself, although I think I am below average in terms of resource consumption in the USA, globally I’m a gluttonous monster. If the electric grid went down and didn’t come back, I know life would get really hard really fast. I’m not prepared for a life like that. Now again, I have respect for the 200 possession minimalist, but I’d like to make the point that such a lifestyle cannot be both comfortable and sustainable. No luxury while being “green”. So, I have much more than 200 items in my arsenal of living. I have a water heater. I have a refrigerator. I have windows, doors, smoke detectors, eight wheels and tires, and a whole motorhome with trailer. But, I also have a water treatment plant. (part of one that purifies the bit I use) A bit of a hyrdroelectric dam. A bit of a recycling service, Hell, a bit of an oil rig too. These are not my personal possessions in the general sense, but I need them nonetheless. Without these services, these buildings, trucks, pipelines, transmission lines, refrigerated warehouses, and other infrastructure, my life would be exceedingly difficult. Recognizing these truths is extremely important. I choose not to ignore my dependency on modern industrial society and wish to find ways to provide the luxuries of life (hot water, refrigeration, clean clothes, transportation, etc. ), to myself in a manner that results in feedbacks of information about my resource consumption. This will not be a complete amputation of societal infrastructure like some mountain cabin in Alaska, but rather an attempt to utilize the energy and resources available in the most effective and efficient way I can muster. Continuing the turd – line of thinking, the difference between operating a marine toilet and a conventional sewer coupled toilet, is the maintenance involved. That maintenance is exceedingly valuable in more ways than one. The dreaded “poop pyramid” is to be avoided, for sure. Go ahead, look it up. It’s not the process or the possible negative outcomes that are important, it’s what managing our own affairs can teach us about living small. I guarantee that if you had to bucket every liter of water you use in the home up a flight of stairs, you’d think twice about that 20 minute shower, or I’m sure you’d fix that running toilet. You might even ditch the toilet, in favor of a composting toilet. It’s one thing to stick some bricks in the toilet tank, or turn the water off while you shave, but conservation becomes a way of life when you have to work for those luxuries. This feedback system extends to every other luxury. Electricity, refrigeration, heating, sanitary human waste disposal, and so on. Simple counting meters on display in a common area of a home can do wonders to reduce resource usage by comparing day to day use, month to month, day to day average, or just present consumption. 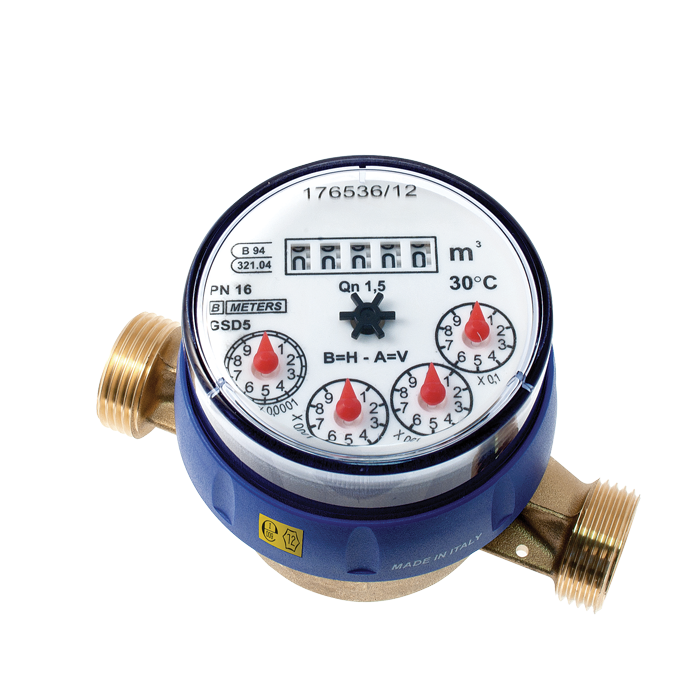 In a situation where finite amounts of resources are available, metering is a necessity. Be whatever kind of minimalist you want. Call yourself whatever you want, I don’t care. If you want to live in a high rise apartment with 200 things and flush your turds down the toilet to go who knows where, what can I say? Be happy. Willingly choosing to have so few things probably means your head is in a good place. Me? I don’t know what I am. Other than a dork. A dork that wants to build a minimalist habitat. I totally get what you mean. I think if you set a number as a goal then it sort of defies the purpose of minimalism. Our society favors quantifiable goals. But in reality minimalism is a spiritual endeavor. I like to think of minimalism not just in terms of material possessions but minimalism of thoughts, minimalism of dreams, minimalism of words etc. You can apply minimalism to every area of your life. But minimalism alone shouldn’t be the guiding force of your life. You need a more comprehensive philosophy to live by. Minimalism is just a part of spirituality. Another part of spirituality is to live in a responsible and self sustainable way. I think that the most efficient way to live is to live in small communities of 20-30 people. If we try to become completely self sufficient without giving up on the luxuries you mention then I think it won’t be as efficient as a larger group trying to be self sufficient. All these systems, waste management, hot water, electricity, can be tackled better as part of a self sufficient community. But when that community grows into millions and billions then again it becomes inefficient. I guess the oldest system of living in tribes was the best way to live. The Amish are a good example I think. What do you think about this? Oh no, Eddy, I’m with you on that. As much fun as I have trying to produce and manage my own resources, I know quite well that sharing resources amongst a small group of people makes much more sense. I”d like very much to live in such a small community of like-minded people. With my motorhome / tiny house plans, I intend to find or build such a small community. I would like to do this in an urban setting near where I am now. More so than just sharing physical resources, we could share knowledge, skills, experience, and common spiritual support. I don’t know. I have so much I think I can offer. I just need to demonstrate my ideas for myself and others. I live in a city of neighborhoods. They all feel a little different. Very walkable city. Most everything you need is in walking distance. I think there is a lot to be gained by high density living arrangements, but in the sense that there are many small tribes in a larger city. Even though I have many close neighbors, we have no common space, no real sense of community. I think I’d like to be a part of a minimalist community so that we can maximize a common spiritual development, if that makes any sense. With age has come some wisdom, more than my cultural background would predict, as well as some spiritual awareness. Much more work to do in that realm. Great work. I’m sure we’ll all learn from your experiences.